The IRS can be powerful and intimidating. A negative outcome from a tax audit is not necessarily the end of the tax payers right to appeal. A Lowell tax litigation and appeals attorney can explain your options. Once an audit is concluded and the conclusions compiled, the IRS issues an examination report. This report will inform the taxpayer whether the tax return as submitted is acceptable or if errors were found. If the taxpayer disagrees with the findings of the report, there is a 30 day window of opportunity in which your Lowell tax litigation and appeals lawyer can respond. The combination of these two provide an experienced Lowell tax litigation and appeals attorney an opportunity to have the original audit results revisited. • The Court of Federal Claims. Taxpayers are usually advised to file in the Tax Court because, as a Lowell tax litigation and appeals attorney explains, to file in either U.S. District Court or in the Court of Federal Claims, the taxpayer must pay all taxes the IRS claims is due prior to filing. 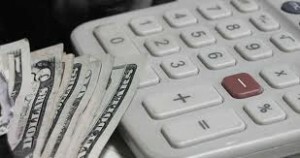 The Tax Court permits the taxpayer to file by paying only a filing fee, once the taxpayer has received a Statutory Notice of Deficiency from the IRS appeal. You need a strong advocate who is knowledgeable in tax law to to represent you as you go against the IRS. Contact Bruce A. Gage, a Lowell tax litigation and appeals attorney, at 175 Central Street, Suite 219, Lowell, MA 01852. P) 978-364-3003 / 887-829-0831. F) 978-454-5352.